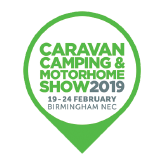 It’s the UK’s biggest showcase of motorhomes, campervans, caravans, caravan holiday homes and lodges. Plus new season tents of all sizes, trailer tents and folding caravans all under one roof. To buy tickets click here. The Southampton Boat Show is a spectacular world class annual event held in September and attracts visitors, exhibitors and investors from all over the world. An on-water show located in Southampton, the cruise and boating capital of the UK. The Southampton Boat Show is one of Southampton’s biggest events and takes over the City for a 10 day period, where people of all walks of life can discover what the marine industry has to offer them. Click here for more information. Started in 2003, PADDLEexpo is now the leading paddlesports-exclusive trade fair globally where all the newest products and trends are found, from kayaks and canoes, stand-up paddle and inflatables, to apparel and accessories. The fair is not only an international marketplace, but has also become a global meetup and networking event for buyers, manufacturers, importers, retailers, media and associations. PADDLEexpo also functions as a major point of information distribution regarding rentals, event management, incentives and watersports tourism. PADDLEexpo takes place annually in Nuremberg, Germany, in partnership with the German Canoe Federation. For more information please click here. Holiday Park & Resort Innovation Show is the trade event designed to provide you with the inspiration, advice and resources you need to put your holiday business on the map. Whether you’re looking to grow, start, evolve or improve your business we have everything you need, under one roof at this incredible exhibition and conference. ​Both days are packed with unmissable seminars and workshops from the UK's finest speakers offering expert advice, guidance and support, as well as market-leading exhibitors to help you find the best opportunities, products and services for your holiday business.